We’ve heard about black mold heath issues and black mold toxicity in the past couple of years, on television, in news reports, in magazines and newspapers. 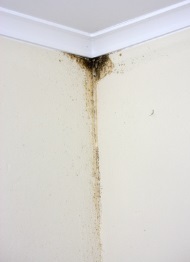 Of course, the internet is also a wealth of information about black mold health concerns. The difficult part is determining what’s true and what’s not, how great a risk black mold really poses and how dangerous mold toxicity really is. Most of us have found a little mold between the tiles of our shower or behind the toilet or under the bathroom sink at one time or another. And if we didn’t get extremely sick, but just cleaned it up and got on with our lives, we may be wondering what all the fuss is about. Well, there are different types of mold and some types seem to lead to the development of more health problems than others. In addition, the greater the area the black mold covers, the greater the risk. While black mold, or Stachybotrys chartarum, is frequently referred to as toxic mold, that’s not exactly right. Black mold isn’t toxic itself, but it does produce toxins technically known as mycotoxins. These are chemicals that can cause illness in humans, as well as in some animals. People with immune system disorders, people with respiratory disorders and people that are already sick with any type of illness that compromises their immune systems even temporarily, are all at greater risk of illness from mycotoxins. Infants and elderly people are also at higher risk. There are some black mold health concerns that can affect healthy children and adults of all ages, however. While some people are at greater risk, no one is completely safe. Black mold toxicity or mycotoxins can cause a wide range of health problems, covering the gamut from respiratory problems to hives, from migraines to depression, from exhaustion to irritability. Problems may be as minor as a runny nose or as severe as a life-threatening asthma attack. According to the Centers for Disease Control and Prevention, studies have proven that black mold can contribute to the development of some health problems but other problems sometimes attributed to black mold have not been officially confirmed. This is a lengthy list and it may not be all-inclusive. If you have other symptoms that you believe might be related to black mold health problems, see your physician. An internist or general practitioner can usually treat mold-related illness but if your doctor has trouble diagnosing or treating your condition, you may need to see a specialist such as an allergist or pathologist. You can ask your internist to recommend a specialist for diagnosis or treatment of black mold toxicity or other mold-related health problems. Keep in mind that if you are being treated for mold-related health problems, you’ll also need to make sure all the mold is completely removed from your environment. Repeated exposure will continue to make you sick, and since mold usually grows and spreads as time goes on, your symptoms may even get worse over time. 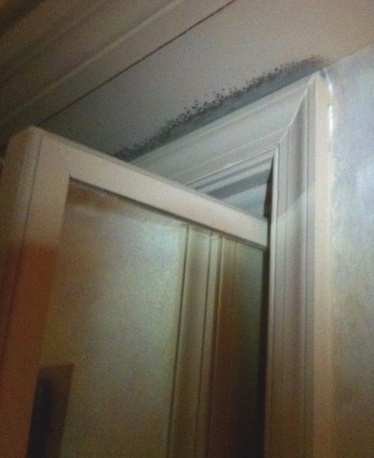 If you are experiencing health problems, especially problems breathing, you should not handle black mold. Have a professional come in to inspect your home, and help you find all of the mold. There could be mold inside your walls or in your HVAC system that you are unable to see. We recommend having a professional inspect your home for mold. He or she can tell you if you are dealing with Stachybotrys chartarum or some other form of mold, and can also locate mold you may not have noticed. To find professionals that inspect for mold in your town, click here. If you have mold in your home, especially if you’re dealing with Stachybotrys chartarum, we recommend scheduling a free consultation with a mold removal specialist. He or she will assess your needs, then give you a price quote that includes a detailed mold removal plan. Even if you decide not to hire the specialist to do the job, he or she can give you some free tips that will help you get the job done safely on your own. To find mold removal specialists that offer free consultations in your town, click here. Black mold caused by upstairs bathroom leak.